Here is Some information about Navagraha Temple in Guwahati Assam india. Navagraha Temple or the temple of the nine celestial bodies is located in the south eastern part of Guwahati in Assam, on a hill by name Chitrachal. As the name indicates, Navagraha Temple is dedicated to the nine planets in the solar system.As the name indicates, this temple is dedicated to the nine planets in the solar system. 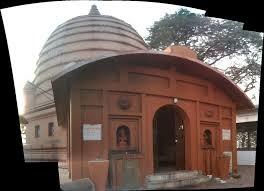 Navagraha Temple at Guwahati Assam is a center of astrological and astronomical research. The Religious temple of Navagraha as it stands today was built by the ruler Rajeswar Singh in late 18th century AD. The temple tower was destroyed by an earthquake, but was reconstructed later. According to the inscriptions and recordings found on the walls of Navagraha temple, its origin dates back to the 18th century, to the reign of Ahom king Rajeswar Singha, son of Rudra Singha or Sukhrungphaa. A great earthquake destroyed a considerable portion of the temple a few centuries later, which was later rebuilt with ridged iron sheets. However, the Garbhagriha, built of brick, exists till date. Along with the temple, a tank was also excavated at some distance, to provide regular and easy water for the devotees who came to pay homage to the Gods. This tank, known as Silpukhuri, continues to supply water to the needy till date and is as full of water even today. Surya Puja or Sun worship is an ancient practice of the Assamese people. A number of other temples are also present within the state for this purpose. 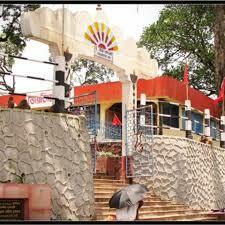 Among them, the one worth mentioning is the Surya Mandir located atop the Surya Pahar hill in Guwahati. 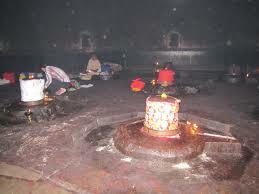 Navagraha temple is an important astrological and astronomical center in the state. In fact, scholars and the historians feel that the ancient name of the state i.e. Pragjyotishapura originated from this temple only. The word Prag means eastern region, while jyotisha means star astrology. Hence, the region is also called the ‘Eastern City of Astrology’. Guwahati is particularly famous for its Kamakhya temple located atop the Nilachal hill, at a distance of 10 km from the railway station. 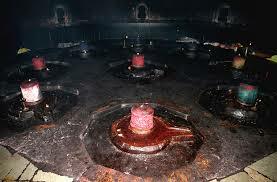 Known to be the most revered among the tantrik shrines of Shakti worship in the world, Kamakhya, was built in the 10th century by the Koch king, Naranarayan. Animal sacrifice is a common practice here to appease the Goddess. 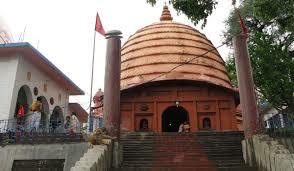 Above Kamakhya is another small temple, Bhubaneshwari, from where one can have a bird's eye view of the Guwahati. The Shiva temple of Umananda, reached by motor boats and public ferries from Umananda Ghat, stands on an island in the middle of the Brahmaputra. One must visit the Guwahati Zoo, which is the largest natural zoo of the country.